Discussion in 'Price Drops, Must-Have Freebies, and Deals' started by Sash-O, Sep 9, 2015. 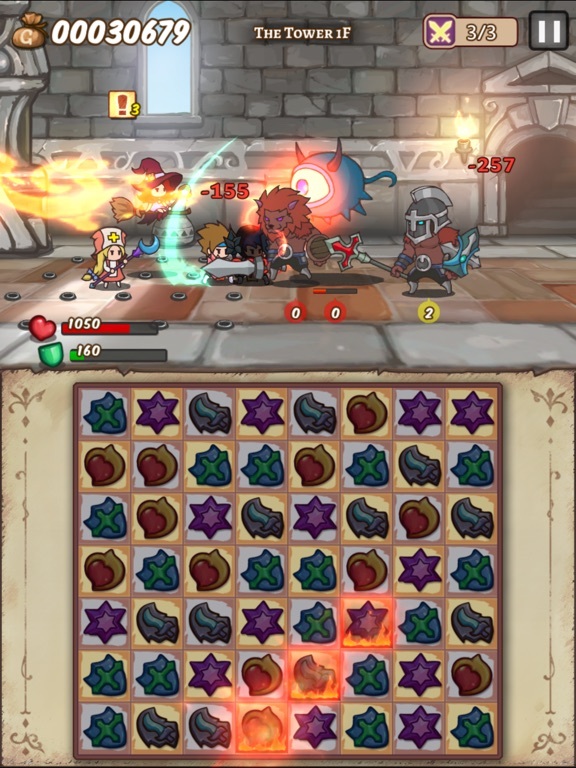 Match Tiles, Beat' em Up, Adventure – Brand New Experience of Classical JRPG "Hero Emblems is proof that there’s still room in the market for a great match-3 adventure" - TouchArcade.com (4.5/5 Stars) "Hero Emblems is a challenging new match-three RPG that you won't be able to put down" - AppAdvice.com (4.5/5 Starts) "The game is cute, but that doesn’t mean it’s easy." 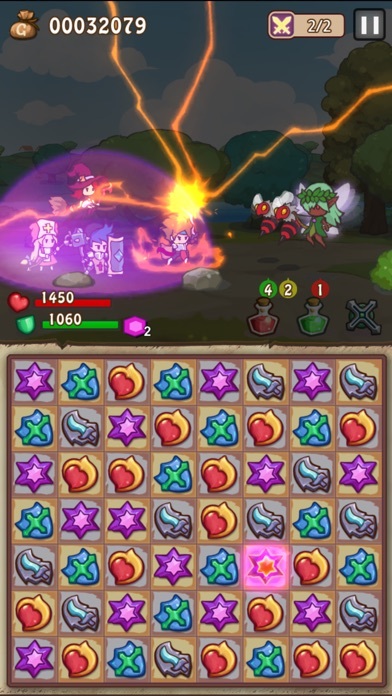 - PocketTactics.com (4/5 Stars) "Hero Emblems is an old school game packaged for the new school, and it’s awesome" - GamesInAsia.com (8.5/10) Hero Emblems is a JRPG that mixes “Side-Scrolling beat' em up” and “Match-3” features. 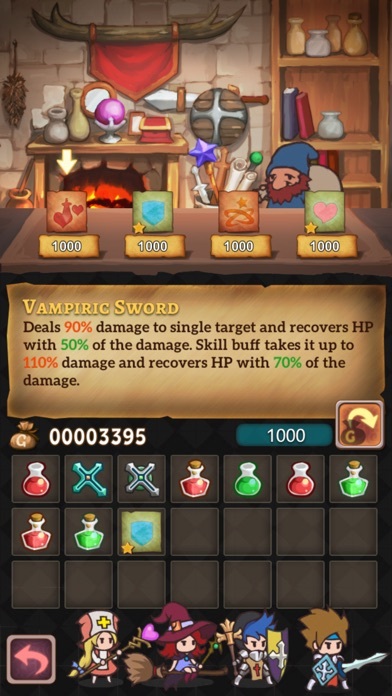 Set in the middle-ages fantasy world of sword-fighting and wizardry, it is an adventure of 4 brave warriors who wield different emblem powers and their attempts to stop the re-awakening of the God of Evil. ==Game Features== ►Classical JRPG style adventures Complete presentation the traditional JRPG world which let you enjoy the fun of the console JRPG experience. ► Unique turn-based battle to offer the beat' em up experience Launch combo attacks, defense, healing and skills by matching rule. 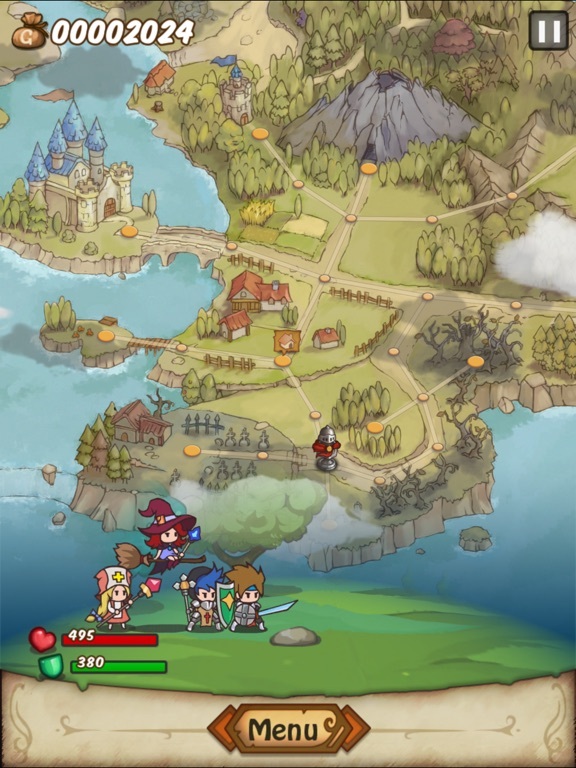 ►Big adventure world map Bravely traverse into dungeons, wilderness, caves, and cross the ocean to visit the new continents in the fantasy world. 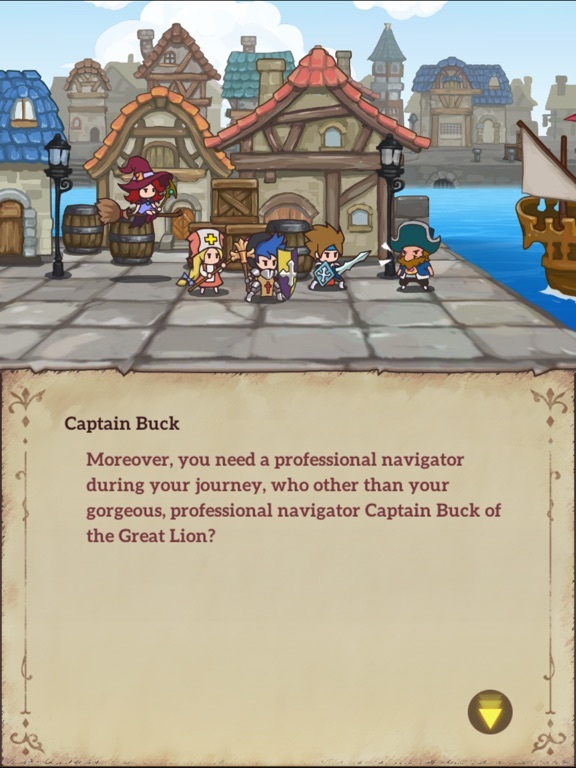 In the journey, you will meet different personalities NPC, and visit a variety of village to purchase the new equipments and skills. 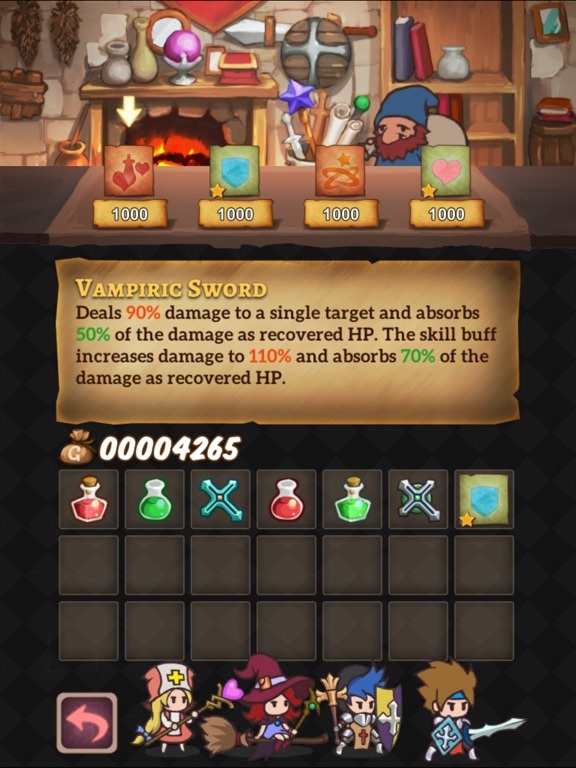 ►A variety of monsters with different kinds of weakness attributes and attack debuffs Different Monsters have its own strong/weakness. Some of them would attack with debuffs, such as poisoning, sealing, freezing, petrifying. 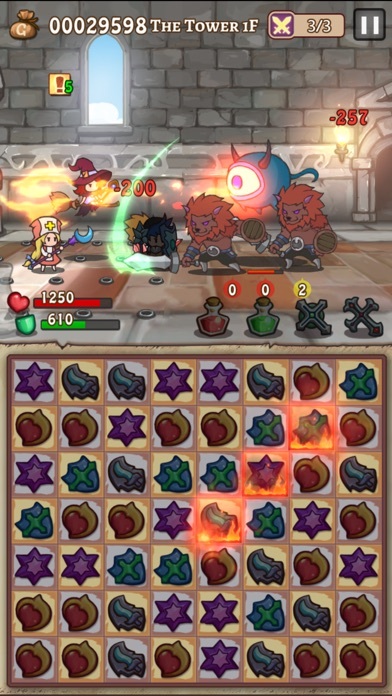 You have to determine the strategy to attack the weakness of monsters with specific skills and remove the debuffs by matching rules. ►Story-driven quests. Seamless transitions between the battle scene and cutscene let you deeply immerse in the story. CAUTION! NO WARNING ALERT WHEN BOSS ARISES! 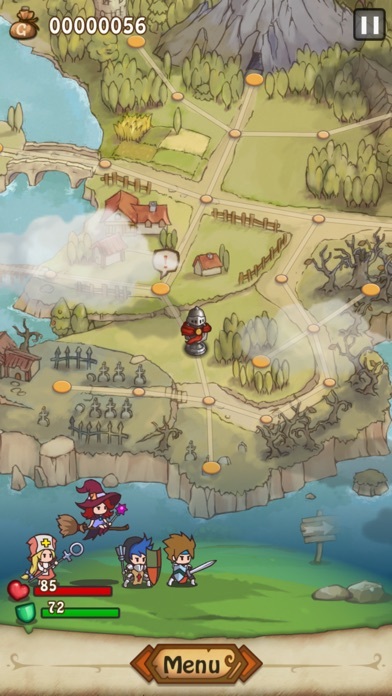 ►Choose the cross roads of stages!? Choose the fate!? What will the ending be like? ►No IAP! No Ads! ==Background Story== Three thousand years ago, the ancient God of Evil captured the Shayara Kingdom. In those desperate times, four heroes rose to defeat the God of Evil with all their might. The heroic tales of these 4 heroes have been passed down for generations. Now, the ancient God of Evil is re-awakening...New generation of heroes, are you ready? Now everybody can afford this little match-3 gem. For anyone who doesnt have this yet, get it now. Then pat yourself in the back later. One of the best games of this year. WOW, how did i miss this gem!? Gonna get this thanks for posting! Still one of the best match 3 type games out there. I replayed it again a few weeks back. Probably the best match3 on iOS imo. So much polish and is GORGEOUS. In fact, I'm going to replay it again. One of the best match3/rpg games I've played, invested alot of time and it was worth every minute. Thanks for the heads up! I'd been eyeing some other match 3 RPG games but this one by far has the best feedback. I've purchased it now though and I'm excited to play it this evening! You made a good choice . Started replaying this, not sure why I set it aside before. Probably got distracted by another game. This is a true gem. At a buck it's a steal. Worth much more! Highly recommended! 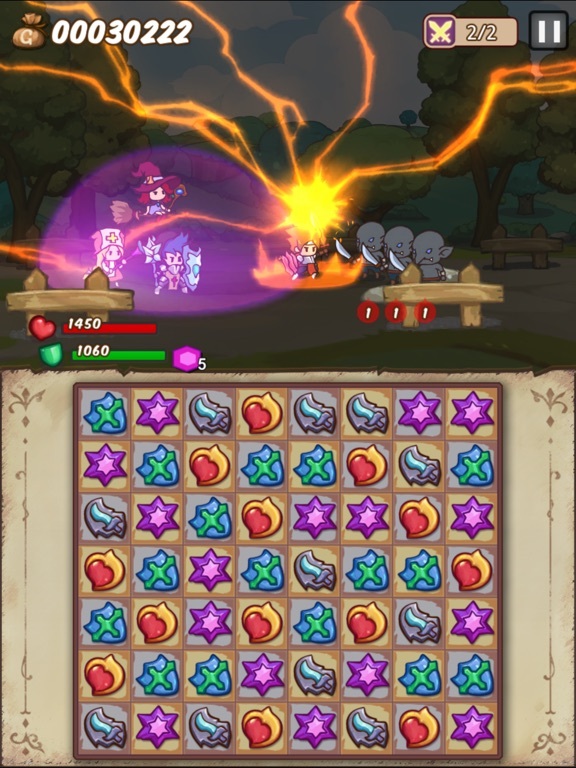 A heavily extended Match-Three-Game (think of Bejeweled, Candy Crush…). One of the very finest of this genre. 99 Cents is a steal. 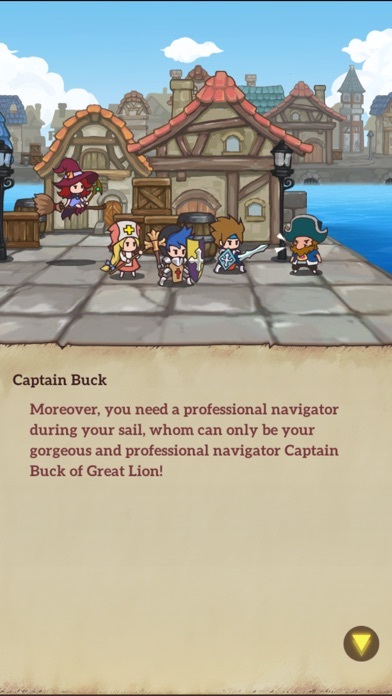 Full premium game: no ads, no "in-app-purchases" (for real money). Thanks EP, read your post yesterday and got the game. It's gorgeous!!! In a way, it's like playing (a simpler) Final Fantasy with match-3 battles.